Museum Tower is a 25-Story brick high rise condominium located in the Museum District on Centennial Hill across from Centennial Olympic Park, Pemberton Place which houses the World of Coca-Cola, Georgia Aquarium and National Center for Civil and Human Rights. 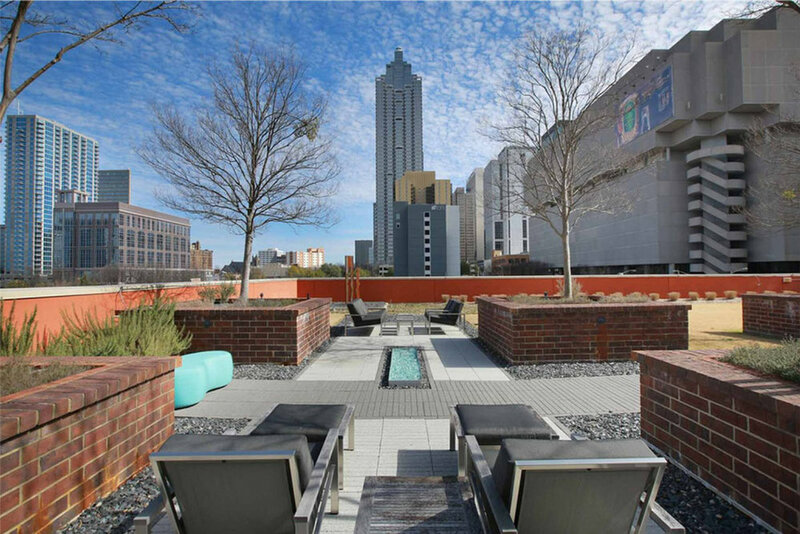 Museum Tower is an elegant fixture on the Atlanta Skyline and is synonymous with sophisticate, urban living. To complement the security offered by our building's automated, fob-access system, as well as to provide convenience to our residents, we have a friendly and professional concierge on duty around the clock. The concierge will provide package notification, verify, register and permit access to approved guests, as well as take care of other day-to-day tasks to make life as easy as possible for our residents and guests. The 6th floor Plaza level offers an indoor Club Room complete with a large flat screen television, audio visual system, kitchenette, wet bar and a Baby Grand Piano in a modern decor. The Club Room can be reserved by residents for special events. It is a nice venue where several community social events are held throughout the year. Hosting a meeting? We have you covered. By reservation, residents may reserve the room for a private group setting. The 6th floor Plaza level Fitness Center offers a range of cardiovascular and resistance training equipment. Residents are able to utilize the facilities while watching TV or simply enjoying the view. There is also access to an outdoor green space that provides residents with a place to luxuriate outdoors. 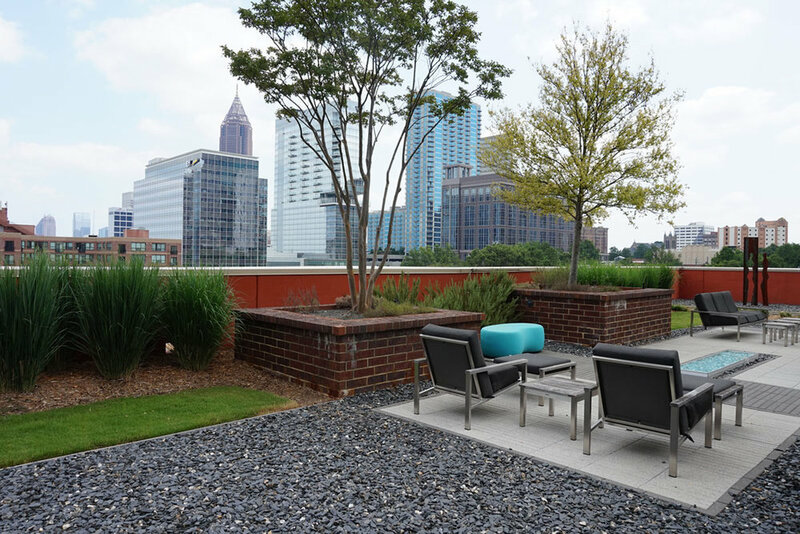 The area includes a beautiful grass lawn, an outdoor cooking area with multiple gas grills, and a turf dog park all with a beautiful view of Downtown Atlanta. Even our small furry friends are accommodated in our community. A artificial turf dog walk area is ready for use 24/7. 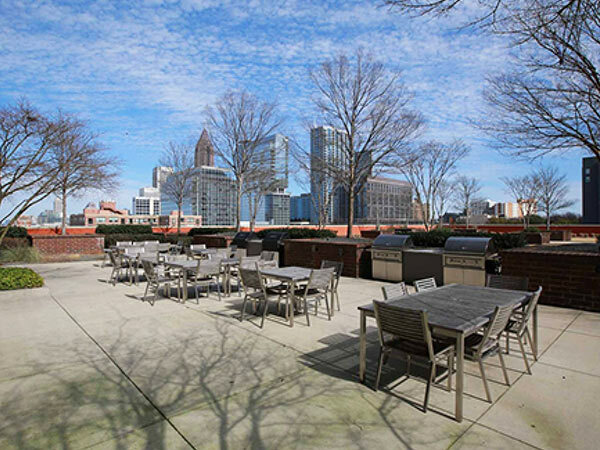 The rooftop pool offers a pleasant area to relax in the sun, swim, enjoy gorgeous sunsets, or entertain the kids (accented by soft music), all with breathtaking views of Downtown, Midtown and Buckhead. There isn't a better birds eye view of the Centennial Olympic Park and the Georgia Dome right next to the construction of the new Mercedes-Benz Stadium (situated behind Philips Arena and the CNN Center). No need to crank the car with dozens of nearby restaurants. The variety is enormous and offers something for every appetite! Legal Seafood, Der Biergarten, Max's Coal Oven Pizzeria, Twin Smokers BBQ, Stats, Pitty Pat's Porch, Hard Rock Cafe', Rays in the Cityjust to name a few. Georgia Aquarium: Rated #1 in the U.S.